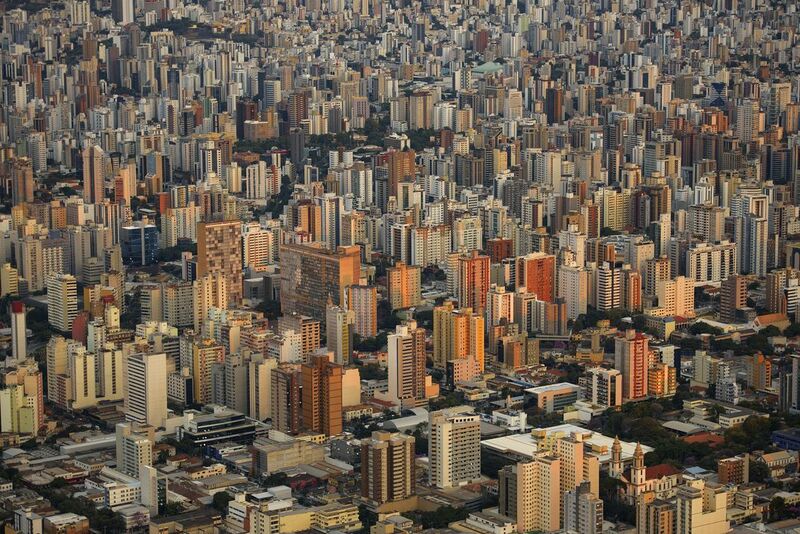 Belo Horizonte is the third largest city in Brazil. Aerial image (shot from a plane at sunset). Date Uploaded: Aug. 24, 2017, 10:02 p.m.